We designed this bandana to celebrate a South African tired and trusted brand. Only the best will do. It’s bright and cheerful and only the best will for your dog. George is wearing an XL. The Bandana is designed to feed through your pet’s collar. Note: Each bandana is handmade with love and pawsomeness and is slightly different. This Scarf Tie Bandana is made in a bright, colourful graphic print, inspired by South Africa. It ties easily and has a scoop design so sits nicely around your pet's neck. 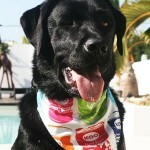 Note: Each bandana is handmade and has a pawfect wooden disk and is slightly different. 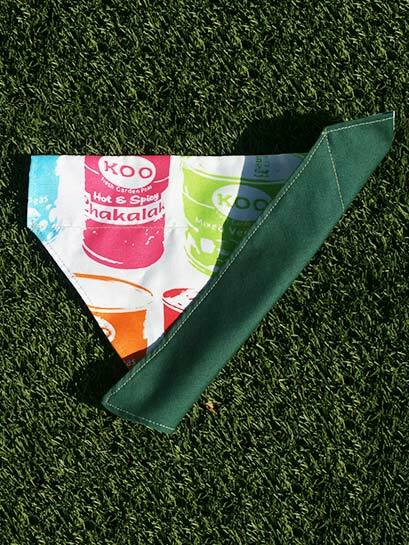 We designed this bandana for all those dogs who love to be outdoors and enjoying their walks! Lykan (our model) is wearing size medium. The Bandana is designed to feed through your pet's collar. Note: Each bandana is handmade and is slightly different. Every cat parents knows - scratching is inevitable. Decorate your home and your cat’s life with the beautiful, beneficial, durable and environmentally friendly Cat Chaise This cat scratcher gives your cat an acceptable place to fulfill their scratching needs, protects your furniture and is a place for the purr-fect catnap. Encouraging exercise, relieving stress, and being mentally and physically stimulated, with free catnip included – your cat will be entertained for days. This is one of our favourites for the girls. We have used two aweseome pink fabrics and the bandana is reversible. Pink stars combined with pink Shweshwe fabric. The Bandana is designed to feed through your pet's collar. Note: Each bandana is handmade and is slightly different. This is a sophisticated option for a clever dog. George is modelling an X-large All bandanas are made by hand with lots of love and pawsomeness so each one may vary slightly. The pawfect paw cleaner after a run on the beach, or splash through that puddle! A very nifty little helper to keep on hand; made of absorbent towel material! Get it in Lime, or Grey. This is bandana is designed for a dog that loves adventures and open spaces to run free. 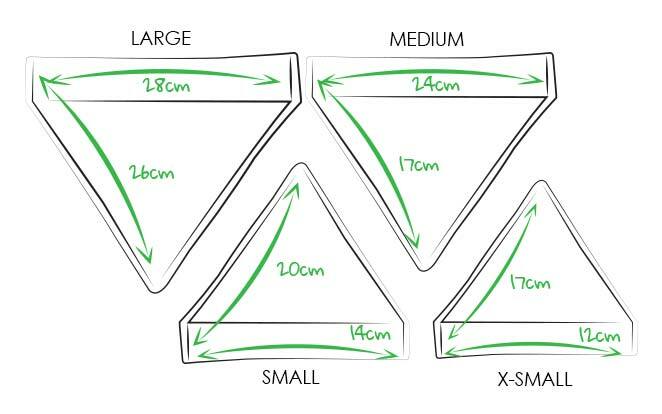 All bandanas are hand made with lots of love and pawsomeness so might vary slightly. 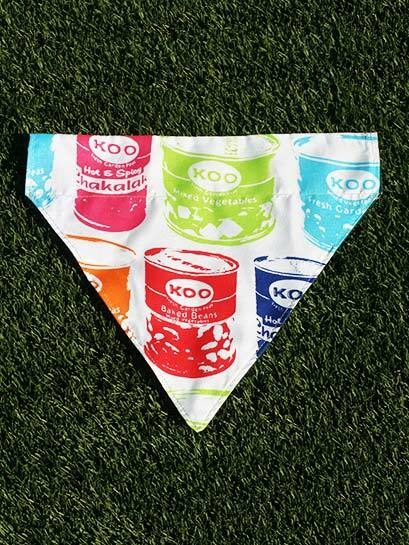 Say hello to our pawfectly cute Mini Bandanas! Every cat parents knows - scratching is inevitable. Decorate your home and your cat’s life with the beautiful, beneficial, durable and environmentally friendly Catnap and Scratch bed This cat scratcher gives your cat an acceptable place to fulfill their scratching needs, protects your furniture and is a place for the purr-fect catnap. Encouraging exercise, relieving stress, and being mentally and physically stimulated, with free catnip included – your cat will be entertained for days. Every cat parents knows - scratching is inevitable. Decorate your home and your cat’s life with the beautiful, beneficial, durable and environmentally friendly Cat Scratch and Lounge. This cat scratcher gives your cat an acceptable place to fulfill their scratching needs, protects your furniture and is a place for the purr-fect catnap. Encouraging exercise, relieving stress, and being mentally and physically stimulated, with free catnip included – your cat will be entertained for days. This Scarf Tie Bandana is made in a sweet blue princess typed print. It ties easily and has a scoop design so sits nicely around your pet's neck. 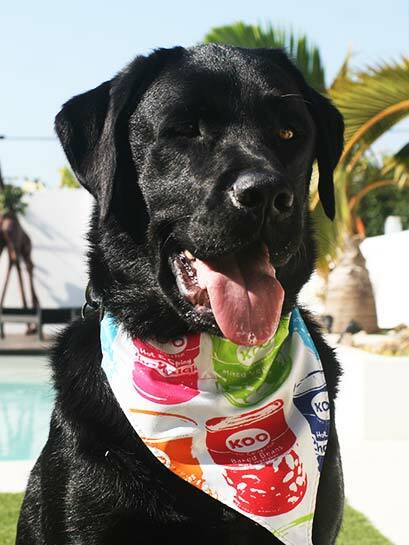 Note: Each bandana is handmade and has a pawfect wooden disk and is slightly different. This Scarf Tie Bandana is made in a small, checkered design with a blue backing. It ties easily and has a scoop design so sits nicely around your pet's neck. This Scarf Tie Bandana is made in a funky bright pink camo print. It ties easily and has a scoop design so sits nicely around your pet's neck. Lily, our model, is wearing a size medium.